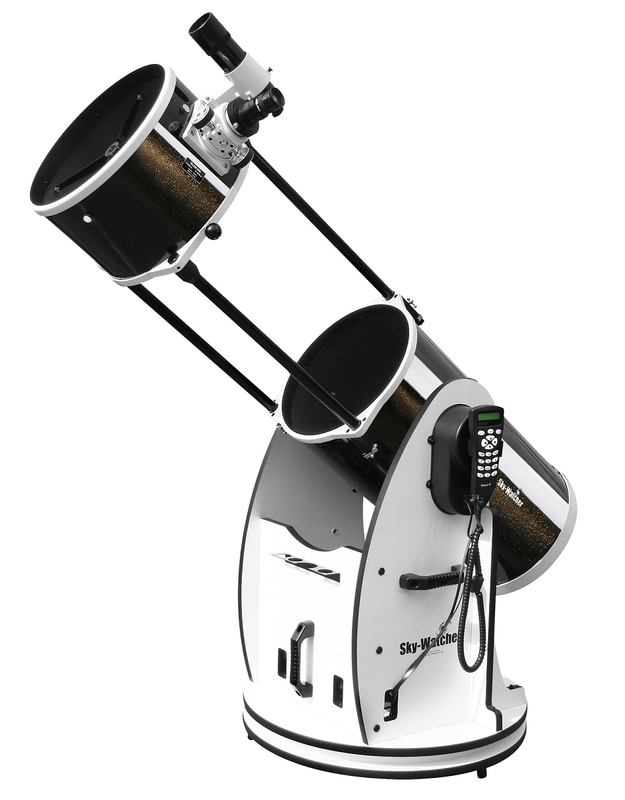 The 12" Sky-Watcher Establishes a New Standard in Large Aperture Ease-of-UseObserving with a Dobsonian has been described akin to shooting ducks in a gallery because it is so easy to find your target. Just swing your SW DOB to the quadrant of sky to be searched, and scan the vicinity. An 8x50mm Right Angle optical viewfinder provides both magnification and light-gathering to help narrow your search for those elusive fuzzies when star-hopping. The standard-equipment backlash-free 2" Crayford Focuser insures ultra smooth focusing adjustments. Multi-coated, 4-element Pl?ssl eyepieces (25mm and 10mm) provide a spacious 52? Apparent Field of View.